Here’s a couple of photos taken from Lake Tekapo near Mount Cook on the South Island. Yes the water is really that colour because of what’s called ‘Rock Flour’ and yes the sky’s are really that colour. 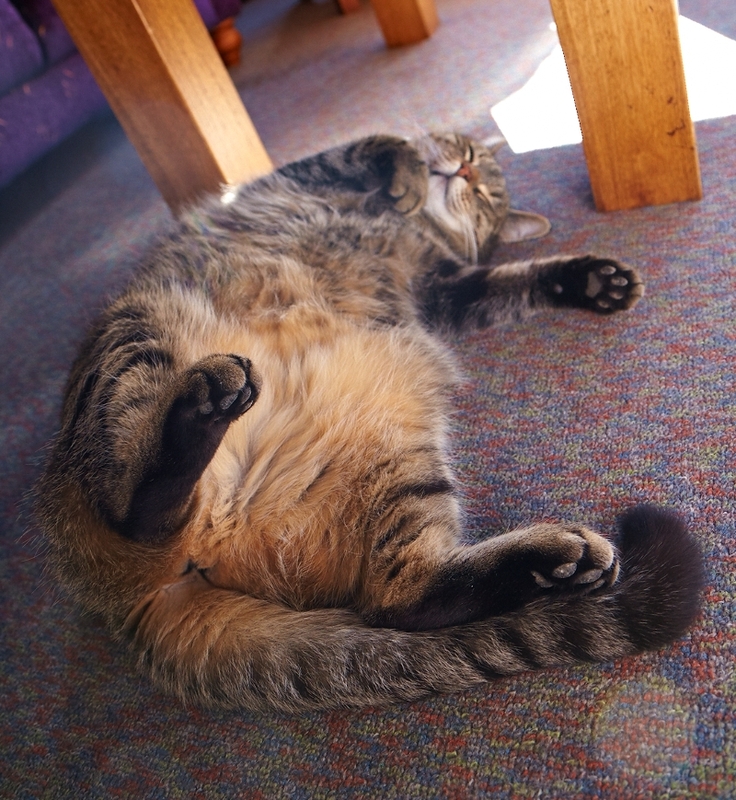 To the right is a photo of the Puddy Cat at the YHA at Tekapo, such a lovely, if lazy cat!!! !